The information contained in the surveys should not be used when making medical decisions, and not a substitute for medical advice. •	What prescriptions were prescribed when first diagnosed with OT? •	What other medications were prescribed after being first diagnosed? •	Have you ever tried any non-prescription Rx solutions or had any medical procedures? The purpose of this survey was to get feedback from those who have been diagnosed with Orthostatic Tremors about the drugs prescribed and used for their symptoms and experiences. We were also interested in what other solutions OT patients sought out. By sharing their experiences with others, we are hopefully giving people who have been newly diagnosed or are currently diagnosed with OT more knowledge, which will help them make decisions on how to handle their OT. A 27-question survey was created and used via the online web-based SurveyMonkey survey software tool www.surveymonkey.com to collect the data. The data was anonymously gathered. We used a list of emails that was from people who voluntarily attended or expressed interest in an OT medical study conducted at the University of Omaha – Nebraska. We also had interest from a few OT Facebook communities who also had members of the Nebraska group. We shared the survey with them as well. Survey was completed online by 116 OT diagnosed patients from 8 countries, with an average age of 69.5 years. 84% of respondents told us they were prescribed medication when first diagnosed. 66% then told us they are no longer taking those medications. 45% of those who responded (n=114) then told us they were prescribed new/different medications. And 45% of those who responded (n=51) who were prescribed other medications are no longer on those medications. Of all medications that patients reported taking, 87% told us they are currently taking 1 – 2 medications, the other 11% are taking 3 – 6 medications. 68% of the population then told us that they have tried other Non-Prescription medication such as Cannabis, Alcohol, Supplements, Vitamins, Deep Brain or Transcranial Magnetic Stimulation, Deep Stem Stimulation, Mental or Physical Therapies, Yoga, etc. Over half of the participants reported that supplements, alcohol and exercise are an alternative way to cope with OT. 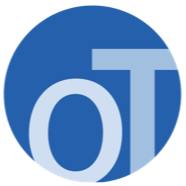 OT diagnosed patients were experiencing OT specific symptoms on average 17.8 years before going to a doctor. And it took another 6.8 years on average for a correct diagnosis. The data tells us that the medical community has had a difficult time in diagnosing OT shown by how long it takes to get diagnosed. There are a number of different medications that have been tried, none of which have shown to be on its own 100% effective. As a result, OT patients are trying a variety of Non-Rx solutions to help with their symptoms. Polls, Surveys and Questionnaires - polls started by forum members: medications prescribed, environmental issues, etc.